Thank you for your interest in the Ministry of Helps. We believe that God has a plan and purpose for every Christian and that purpose will be fulfilled in the local church. Since you are interested in this area of ministry we want you to be encouraged and to know that our desire is to see you fulfill all God has called you to do and be. As a part of the Ministry of Helps, there are specific guidelines that we have established for our team to work together and to be the best we can be. Sign up for the next Ministry of Helps class today. 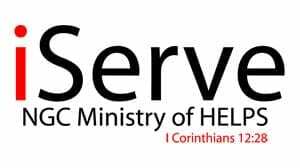 Who participates in the ministry of helps? God placed every member in the church as it has pleased Him. Singles Ministry (Sanctified Singles) Coming Soon! For more information on the Ministry of Helps please email info@newgc.org.